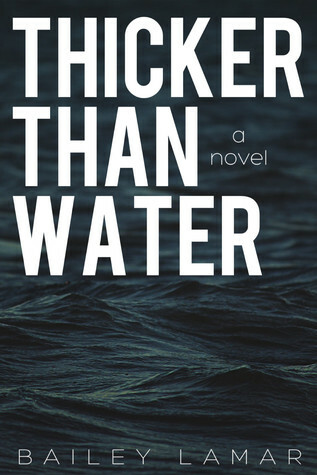 A sneak peak of our interview with Bailey Lamar, author of Thicker Than Water (Blood Mysteries, #1) You can find the full interview here. Lily: Ok, lazy Saturday night, time to veg out with your favorite movie. What is it? Bailey: I’m not super into movies, actually. I’m more of a TV person. Gilmore Girls, Malcolm in the Middle, Grounded for Life, Friends, Criminal Minds, ect. I’m a total Netflix junkie. Lily: Netflix might be my not so secret addiction. Its great for binge-watching shows when you just want to relax. Ok let’s dive into the nitty-gritty. I want to know how you work and more about Thicker ThanWater (Blood Mysteries #1). First, please give us an insight into your main character. What is it about Oz that makes her so special? Bailey: I might be a LITTLE biased here, but I think it’s her unwavering bravery in her quest for the truth. She’s willing to do whatever it takes to unravel the secrets in Hanover, even risk her own life.